Selling your home can be a difficult process full of fees and headaches. Not to mention finding a committed buyer can take several months and typically comes after a handful of repairs, negotiations, and months of having to deal with the burden of carrying debt or two mortgages at once. This can be especially troubling if you currently face an expensive repair, still own a home with your ex, are behind on payments, or find yourself in another unwanted situation. Zenn Homebuyers, your Florida fast home buyers, can help you free yourself of an unwanted house in any situation by purchasing your home for cash. 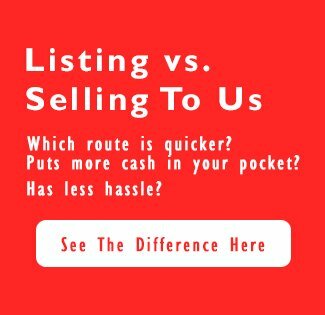 We are professional home buyers who provide services to simplify the home-selling process down to a single transaction, and if you need a quick solution and are screaming “I need to sell my house for cash,” contact us today. We will buy your house outright, stripping away all of the inconveniences you would experience by hiring an agent or attempting to sell your home yourself, ultimately saving you time and money in the process. We at Zenn Homebuyers will make a visit to your home and then make you an offer. You choose the closing date that’s convenient for you and you can receive the cash for your home in as little as one week. Another added benefit is that we pay all the costs involved so there are no hidden fees or charges once the process is complete! This turns the home-selling process into a simple way to sell and can be finished in a week’s time, relieving you of all worries and stresses that are associated with your home. To learn more, contact our home buying experts today!